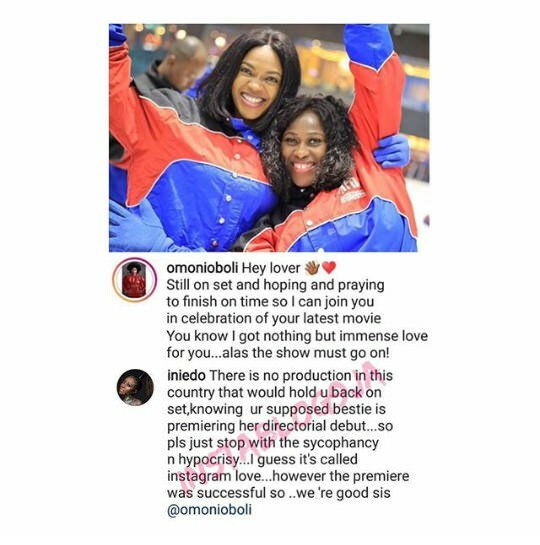 ‘Hey lover ♥️ Still on set and hoping and praying to finish on time so I can join you in celebration of your latest movie #HeavenOnMyMind @uchejombo You know I got nothing but immense love for you…alas the show must go on! PS: Can someone take me back to Dubai already? The amount of stress I’ve gone through this period! Pls you people should help me beg @kalanne_fubara @visitdubai.af. Tell them I need another vacation’ She said.